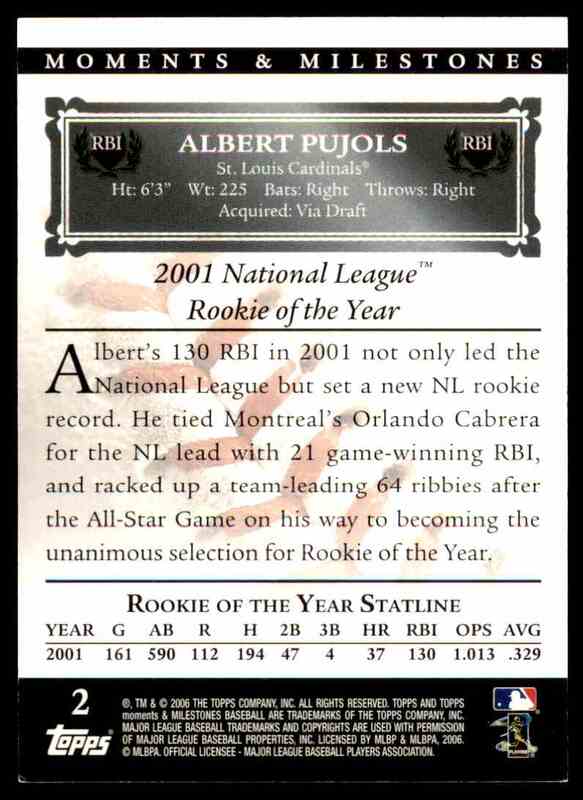 This is a Baseball trading card of Albert Pujols Rare Serial # Insert Card #46/150, St. Louis Cardinals. 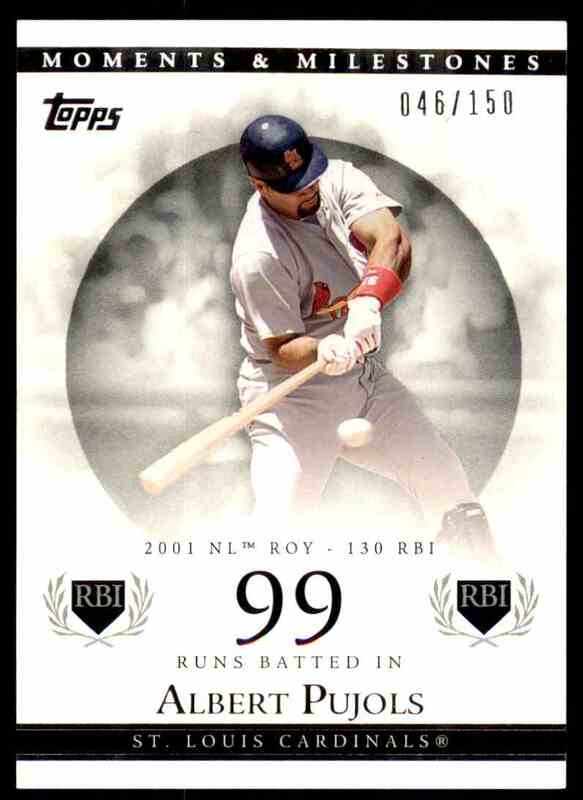 It comes from the 2006 Topps Moments & Milestones set, card number 2, serial numbered 046/150. It is for sale at a price of $ 2.99. Returns accepted within 14 days. Buyer pays the shipping. The item must be returned in the same condition as it was received. Hello! Welcome to AC CARD STORE. We are located in Roseville California. We have been in the Sports Card industry for over 40 years. Please check back often as we are getting our Inventory loaded to this site. Thank you for taking time to check out our cards and collectibles!